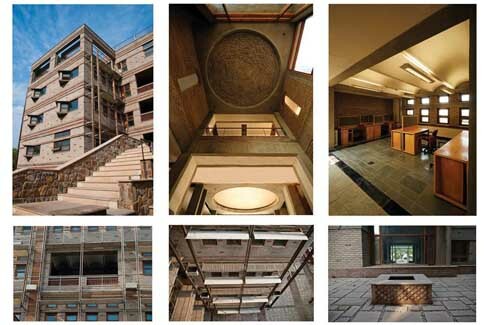 Among India’s most respected architects, Ashok B. Lall has been a pioneer in formally integrating sustainability into his architectural works – decades before the term attained significance. He has also been a devoted academician and served as Dean of Studies at the TVB School of Habitat Studies. 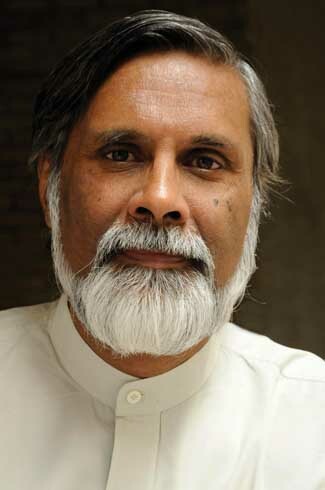 Among several notable accolades, Mr. Lall has been nominated for the prestigious Aga Khan Award for Architecture twice, served on the international Holcim Foundation Jury thrice while heading a thriving practice from his eponymous studio in Civil Lines, New Delhi since 1981. Extremely modest, eloquent and with his characteristic patience, Mr. Lall shares with us Zen-like wisdom. Which buildings do you find yourself often recommending to students as an example of good architecture. And why? 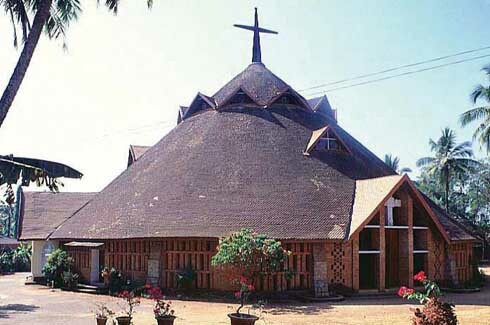 It keeps moving but there are a few: St. John’s Cathedral in Tiruvalla by Laurie Baker (now demolished) for its imagination, logic and use of simple means to create impressive architecture. 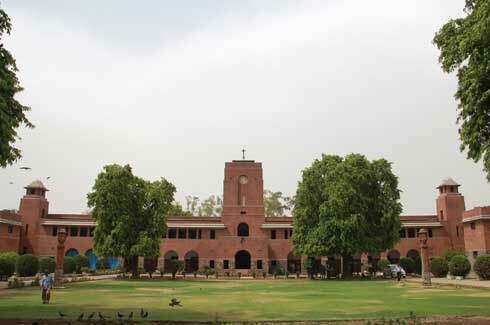 Works by Walter George such as St. Stephen’s College, Delhi University for the systematic and sound attention paid to all the little (and big) things that go into making a great building. 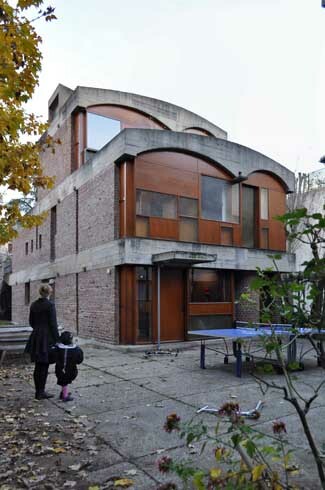 I do refrain from referring to the greats but there are exceptions such as Corbusier’s Maison Suisse and Maisons Jaoul in Paris and the Le Corbusier Centre in Zurich. These are not grand buildings but masterful and fitting lessons in architectural design and expression. I practically grew into it. I remember witnessing the extension of our home when I was very young and being fascinated with several aspects of building – particularly plaster work. I was mesmerized by how a trowel could guide water to maintain a certain consistency of the plaster mix and when ready, splash the mix on the wall to smoothen the blob into a flat, granular and even surface. It was like witnessing a ritual. Besides, I could draw and paint well and seeing my tendencies, nobody in the family ever explored an alternative and I too was quite sure by the time I was about 14 years old that I would like to be an architect. In what ways would you say has your practice matured over the last three decades? We are certainly addressing more elaborate climate and energy-related issues now and are involved in more research and thinking about spatial and object symbolism but at the same time we’ve evolved into becoming collaborators of clients. We prefer to engage with the clients at the outset by working on the brief to find a measured balance of sustainable criteria that the project can benefit from through us, and these are usually intense consultations. I am always shying away from being the know-it-all architect as I find it quite distasteful and so am happy for having my practice graduate into this collaborative role. Which non-design related personality do you admire the most? How has s/he influenced your thinking – and your work? Devi Prasad – a talented, multi-faceted artist and exemplary human being. 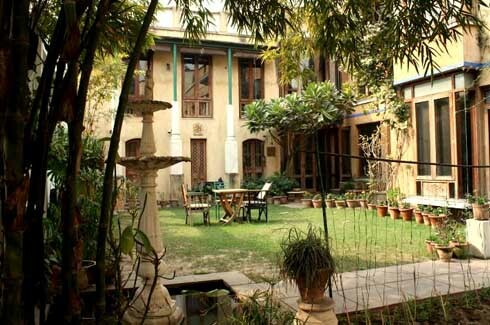 He trained at Tagore’s Shantiniketan as an artist before spending several years at Mahatma Gandhi’s Sevagram. A staunch pacifist who believed in spreading the message of peace, Devi Prasad also worked with the War Resisters’ International and later served as their chairman in London. I feel that Devi Prasad inspired me with his deep, deep integrity and it is through him that I learnt how even simple crafts of weaving and pottery held invaluable lessons for the limitless world of design. What component of sustainability is most ignored in practice? Applying good knowledge of materials and engineering to low processes. Through our work, we try and explore how a building fabric can interact with its thermal performance in an integral manner. Present popular practices in achieving this are too excessive, expensive and not sustainable. St. John’s Cathedral, Thiruvalla by Laurie Baker. What is the most radical sustainability idea that you have deployed in your architecture? Future-proofing. We are working on a project at the moment that deploys the concept of future-proofing to address the problem of rapid urbanisation and affordable housing. 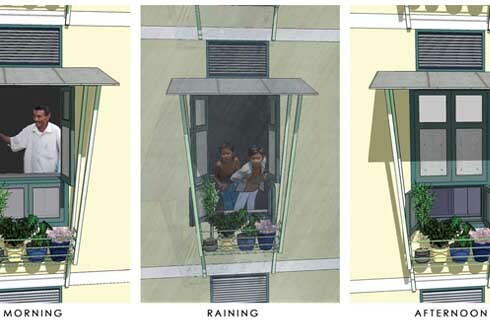 Our approach seeks to build with limited resources today through robust construction systems that allow flexibility for future extension and adaptation by inhabitants. 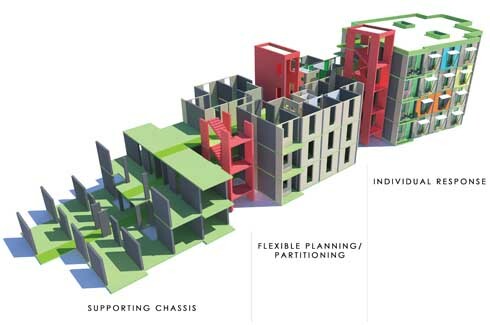 Further developing on ideas such as the ‘Theory of Supports’ (John Habraken), we are more focused on a systems approach with parameters such as: embodied energy in materials and construction, thermal comfort, high density-low rise and so on. 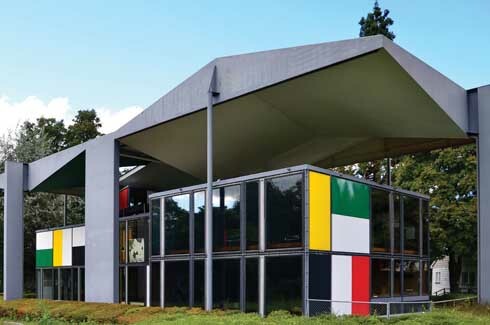 Does traditional architecture offer real lessons for contemporary design or is it only fashionable to reference the past? Any outstanding example of traditional architecture that you feel architects can learn from? There certainly are lots of lessons to learn but it is always a matter of translating learnings. I can cite three examples that I find inspiring: Rajasthan’s Shekhawati Havelis, the Himachali house and the Malaysian Kampung House. I believe that the action of building – much like the joy of dance and craft in traditions is an extension of the body and rhythm. Building is in our ontological nature. Besides engineers, whom do you feel should architects engage with for problem solving? Nanotech and Biotech experts – I feel that architects must engage with these specialisations more actively. We need to introduce researchers in these fields to our problems and actively collaborate with them to seek sustainable solutions because they have so much to offer. One quality you feel that all architects ought to have. To indulge in the act of making! 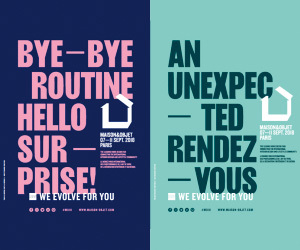 If you are physically engaged in building your works, then you are much more responsive to the notion of resource which in turn informs your design process. If not, then you paint yourself to an irrelevant corner. If you were to re-incarnate yourself as an architect from the last 150 years, who would you choose? It would be great to return as a cross between two personalities: Francis Kere & Christopher Alexander. I met Kere through the Holcim Foundation Awards and he came across as a universal person who transcends cultures. Someone with a immense optimism and gifted understanding of materials and technology and how they can be transferred to the most rudimentary conditions such as his remote village in Burkina Faso. Kere is a maker, a builder with extraordinary energy – electric, like a storm! And he actively works for the betterment of his community. Similarly, I find Christopher Alexander’s written works such as ‘The Pattern Language’ (1977) to be remarkable for adopting a humble and humane approach in understanding the process of place-making. 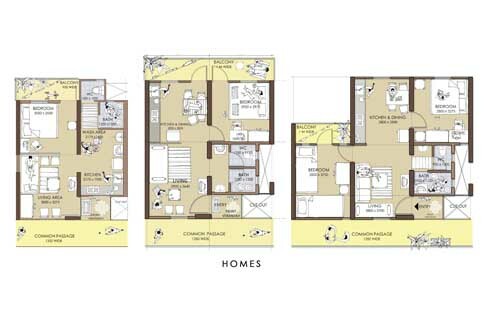 Through the context of European culture, Alexander’s philosophical deliberations indicate that homes grow around people and that spaces are framed around these principles thus creating habitation, social relationships and deeper cultural stability rather than following a predefined master plan drawn on paper. So it would be quite something to be a mix of these two. 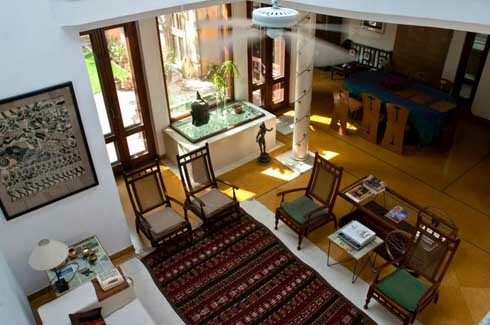 Photos used for illustration purposes only and sourced from: AB Lall Architects. Many congratulations for this article. I thoroughly enjoyed reading it. Goodluck!